Our Velvet blend combines the lush, vanilla aroma of Brazilian coffee with the intense, smoky hint found with Indonesian beans. This matches harmoniously to offer a fantastic aroma and crema, making it ideal to serve as an Espresso. It can also be used as the base for any other drink, delivering a great tasting coffee with plenty of flavour, even when served as a latte or flat white. If you want a show stopping blend with an exotic twist, the smooth body of Velvet is the choice for you. 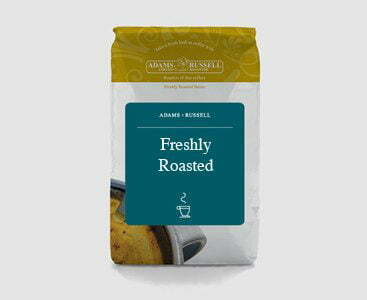 This medium to full roast delivers an easy to drink coffee experience. The smooth and nutty flavour brings a hint of spice and cinnamon. This type of roast goes particularly well with rich chocolate desserts, but also with sandwiches and meals containing cured or smoked meat. Velvet Espresso offers a high-quality coffee at a great price. It is a superb choice for any business wanting to serve their clients and customers hand roasted, speciality coffee. Each 1 kg bag of coffee beans yields approximately 50 Espressos. Once opened, the bag should always be securely sealed after use to ensure the beans stay fresh for longer. Consume within 7-10 days after opening for best results. View our full range of wholesale coffee, disposables and accessories here. Arabica beans are naturally sweet with a low and mellow acidity level. The Velvet Espresso is made up of a blend of Indonesian and Brazilian coffee beans, both very well suited for darker roasts. Robusta beans usually have a neutral or slightly harsh taste, whereas Arabica can have a huge variety of flavours with different aromas and notes. Robusta contains more caffeine, which for some people is a good thing. However, caffeine has a bitter taste which slightly affects the taste of the beans. Arabica has a higher sugar content which is another reason it is favoured for flavour. Around 75% of the worlds production is Arabica, with the rest being Robusta, which clearly shows which one is most popular. In 2014 Indonesia was given the title of the fourth largest coffee producer. With its close location to the equator and numerous mountainous regions, this country is perfect for growing premium quality beans. It was even estimated to have produced around 540,000 metric tons of beans in 2014. Indonesia mainly produces Robusta, with only 25% being Arabica. All arabica coffee is handpicked in Indonesia, whether it is grown by smallholders or on larger estates. After harvest, the coffee is processed in a variety of ways, each giving its own flavours and aromas to the final result.